Outside of WWE, Kenny Omega is the most talked about wrestler in the world today. His time leading Bullet Club shot him into a global spotlight, but it’s not just his cool black and white merch or iconic logo that give people reason to talk – he also just happens to be one of the best wrestlers of his generation. Every time he steps into a ring, Omega puts on an incredible show, and on certain occasions, makes history with the quality of his matches. With Omega drowning in a galaxy of star ratings at this point in his career, he’s racked up a seriously impressive list of notable bouts against a variety of different opponents. But with so much critical acclaim to his name, the question is – just how many great matches can one man have? How many different people can Omega have fantastic chemistry with? And which of his scale-breaking fights truly is the best? 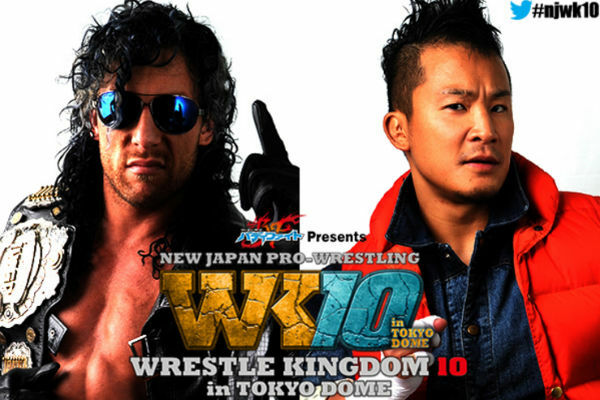 Well, let’s find out – here are the Top 10 Kenny Omega Matches. For this list, no opponent can appear twice within this list, which means only one match from a rivalry is eligible. No trilogies allowed, regardless of how historic they are. With that being said, let’s get started. January 28th saw the emotional, long-awaited reunion between Kota Ibushi and Kenny Omega. Their high profile friendship began when they teamed as The Golden Lovers in DDT. When Kenny was leaving to start full-time with NJPW, the team reunited and had one last match together in a brilliantly emotional affair. Whilst the pair had many great matches as a tandem, and there are other singles matches from Kenny’s career that are probably greater in terms of in-ring quality than this entry, it’s the emotion involved in this one that makes it a must-watch. Seeing the DDT fans shower Kenny in golden streamers is a beautiful sight that demonstrates just how much he meant to them, and how sad they were to see him go. Kenny Omega is widely considered to be one of, if not the greatest wrestler in the world today. In my opinion, the honour for most underappreciated wrestler in the world today has got to go to ‘Speedball’ Mike Bailey – put the best and the most underrated in the same match, and you’re bound to have something brilliant. Unlike the majority of his NJPW epics, this PWG bout sees a more comedic Omega to start with, as he undermines his far less experienced opponent, yet when he feels just how punishing Bailey’s expertly trained feet are, he quickly begins to take his foe seriously. Each man effectively tries to destroy each other for twenty minutes with a barrage of brutally stiff kicks and knee strikes. At one point, Omega deadlifts Bailey, and powerbombs him onto the top of an upside down garbage can. This entry isn’t quite as rich in production and epic storytelling as the matches Omega has become known-for, but it is so much fun to watch. Let’s hope at some point in the future, these two extremely talented Canadians get to meet again on a much bigger stage. Click here to check out some more Mike Bailey matches. One night before Kenny Omega attacked AJ Styles, joined the NJPW heavyweight division, and became leader of Bullet Club, he put on one hell of a match against KUSHIDA for the IWGP Junior Heavyweight Championship. With an incredibly fast pace throughout, this is what you would expect from a match between two of the best ever junior wrestlers. Perhaps the most GIF-fable moment in this fight is when Kenny Omega moonsaults off a guardrail with a trashcan in his hands, and lands on top of KUSHIDA, sandwiching the trash can between them. If you want something that is lightning fast at all times with plenty of moments that will make you wince at how painfully they look, this is the one for you. Also, any match that begins with Taguchi dressed as Doc Brown from Back to the Future is automatically one of my favourites. Do you like seeing men hitting each other really, really hard? Then this is the match for you! Despite how talented and aggressive both of these men are, they still managed to blow me away with this fantastically stiff and gripping contest. Most recently, the two battled in another incredible match to become the first ever IWGP US Heavyweight Champion, but as great as that was, it still doesn’t beat their second encounter of 2017. Fighting for the right to face Okada for the IWGP Heavyweight Championship at NJPW Dominion (don’t worry, we’ll get to that match later), the two men almost destroyed each other in one hell of a fight, but in the end, The Cleaner managed to sweep up The Stone Pitbull, and because of this number one contender match, The Elite member went on to have one of the greatest matches in the history of pro-wrestling. 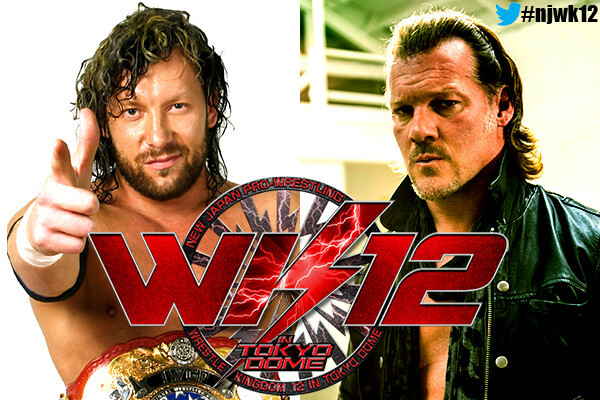 We will certainly remember, remember the 5th of November from 2017 for a long time to come for one huge reason – it was the day that Chris Jericho issued his historic challenge to Kenny Omega at the Tokyo Dome on January 4th. As wonderful and surprising as this news was though, there was one downside to this monumental announcement: it overshadowed the incredible match that had happened just moments before. Beretta (formerly known as Trent Baretta in WWE) challenged Kenny Omega for the IWGP US Championship at NJPW Power Struggle this year, and it was easily the best match of his career. Starting out as a showcase for all of Omega’s unique and brilliant offence, featuring a dangerous, double stomp table spot at ringside and a frightening back drop onto the ring apron, Beretta showed fire and fought back against Omega in a fantastic showing. After a destructive piledriver on the apron and his signature Dudebuster, Beretta made fans believe that he was worthy of belonging in New Japan’s heavyweight division. Omega may have came out on top, and subsequently been challenged to one of the biggest matches in history, but don’t overlook the performance Beretta put on, and the fantastic match these two heavyweights put on. If there is a DDT match that you absolutely need to watch, it’s this one. These former teammates and essentially best friends collided in an absolute classic. Their bond and sense of friendly competition is evident throughout, but that didn’t stop them from almost killing each other. Full of extremely physical and high risk moves, including a Snap Dragon Suplex onto the ring apron, this match is a wonderful spot-fest that simultaneously tells a story of friendship and years of working hard to reach the top. It’s clear how well these two men know each other from this match, and it’s the bond they created during their time in this promotion that is still being referenced in New Japan Pro Wrestling today. Click here to check out my guide to DDT’s streaming service, featuring links to Omega and Ibushi matches (this one included). I must admit, the first half of this match isn’t anything too special – by no means bad, just not outstanding. But in the last ten minutes, the psychology used is absolutely perfect. Kenny Omega unleashed almost every single move he had against Hirooki Goto, and when it seemed as though nothing could put his foe away, The Cleaner decided to borrow from his rivals and friends of the past to claim the victory. Omega pulled out a Golden Star Powerbomb and a failed Phoenix Splash (borrowed from his former tag team partner, Kota Ibushi), then a Prince Devitt-esque Bloody Sunday, closely followed by a Styles Clash, and then finished off with a beautiful One-Winged Angel, to become the first ever non-Japanese winner of the G1 Climax tournament. That succession of moves, teamed with Omega’s historic victory made for an amazing match, and one of the best moments of the last few years. Kenny Omega really is a match of the year machine. In 2016, he faced Tetsuya Naito in the semi-finals of the G1 Climax tournament, and it was easily one of the greatest matches of that year. Fast-forward twelve months later, and the same two men met once again during this prestigious tournament, this time in the finals, and they managed to somehow improve of their previous masterpiece. What makes this match so great is that Omega and Naito both reach deep down into their past to pull out every single signature move they have, with Omega using the rarely seen Croyt’s Wrath and Naito using his impressive former finisher, the Stardust Press. Both men show off their junior heavyweight roots throughout as they perform some incredible athletic maneuvers to try and capture the victory, and the future IWGP World Heavyweight Championship opportunity. After multiple major reversals and false finishes, Naito put away Omega with a gorgeous Destino, and wrapped up one hell of a match. This was Omega’s fourth match of 2017 to get more than five stars from Dave Meltzer, and it’s easy to see why. Vs. Michael Elgin – Various: Kenny Omega and Michael Elgin have had many incredible matches together, but unfortunately recent revelations regarding Elgin have spoilt my enjoyment of his matches, hence why none of them made the list. What else could it have been? If it wasn’t for my rules, all three of these matches would rank in the top five of this list, yet if I had to pick the best of the best, it would have to be their epic from Dominion. Normally, I’m not much of a fan of long matches – it’s very difficult to keep up an entertaining pace for over 45 minutes without having significantly long moments of uninteresting action. But for two of the best wrestlers in the world, more time in the ring just means more time to show off how incredible they are. 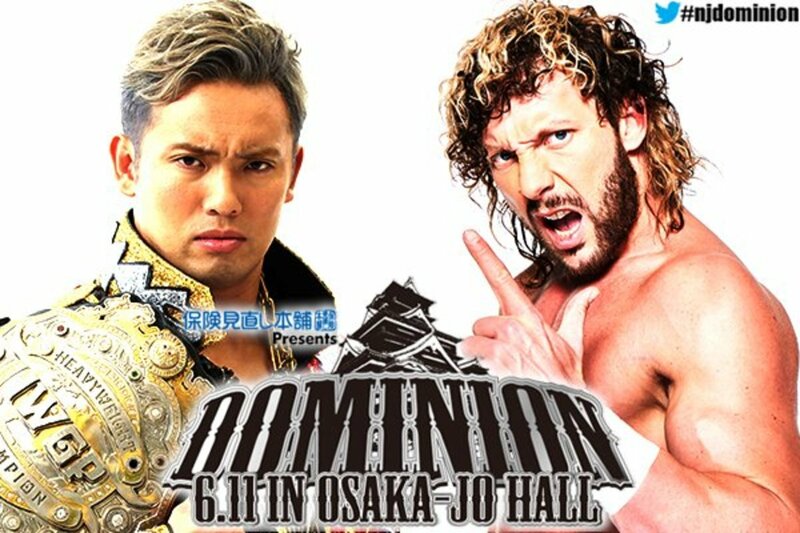 Simply put, Kenny Omega vs. Kazuchika Okada from NJPW Dominion is a perfect professional wrestling match. There’s a reason why it’s Dave Meltzer’s highest rated match of all time. This match just built and built and built to create an incredible story. At the forty-minute mark, I literally couldn’t sit down because of the tension. I was stood pacing around the room gasping and wrestling with the butterflies in my stomach – I didn’t care if my family thought I was pathetic, I was completely invested in the epic I was witnessing. The story followed from their first bout – Omega tried and tried again to hit his signature One-Winged Angel, but to no avail. They traded the most vicious of strikes, the most awe-inspiring of moves, and plenty of signature moves, until Omega finally managed to hit his finisher, but when it all seemed like it was over, Okada actually managed to kick out to the shock of everyone. They battled on, unleashing everything they had on each other, but neither man could clinch the three-count. The announcer was counting down towards the time limit as the two rivals traded blows. With 30 seconds left, Okada hit one hell of a Rainmaker, but he was too battle-worn to make the cover. He crawled across the floor as they time ticked away, but just as he was about to cover Omega, the draw was called in one of the most impeccable finishes to a match I have ever seen. Normally, I would see a draw finish as a bit of a cheap ending. With matches as monumental and important as this, we all want a definitive winner, but after seeing these two athletes completely destroy each other for one whole hour straight, for neither man to be able to better the other no matter how hard they tried, it told the perfect tale and it made for the perfect ending to the perfect match.